Hello! Today I have another outfit post for you all. 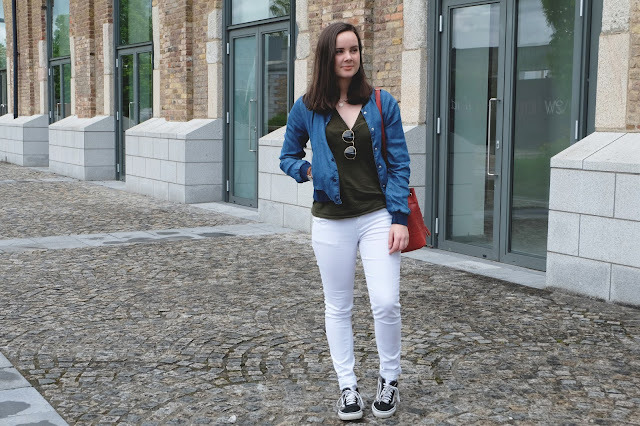 With the weather being so nice lately it's been very handy for getting shots of what I've been wearing and with the nice weather comes the opportunity for white denim! 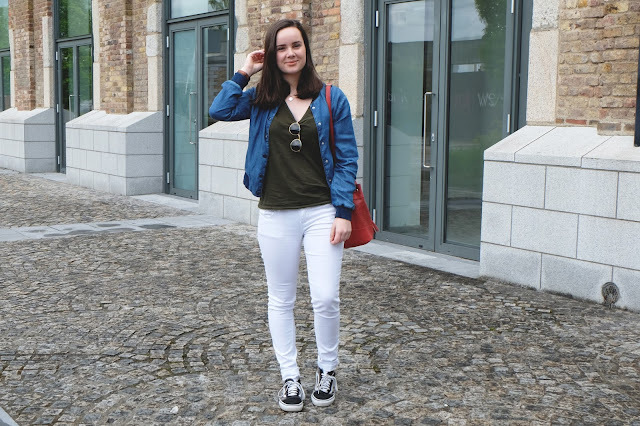 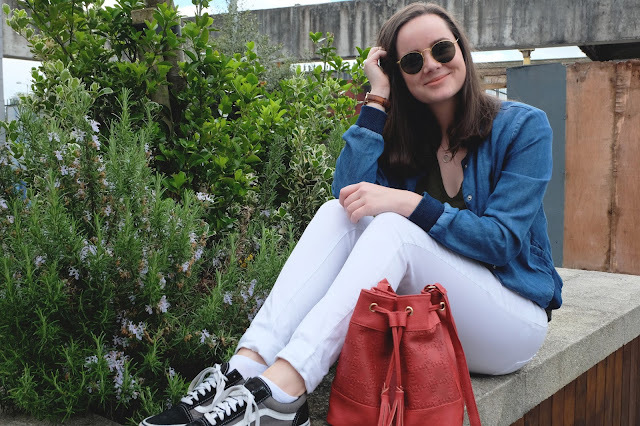 Now of course you could be super brave and wear white denim in the winter, but I prefer to stick to the warmer months so that the colour of my skin doesn't match the colour of my jeans! 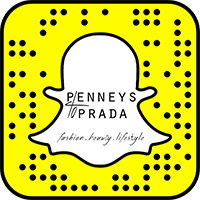 I got this particular pair of white skinny jeans in Penneys last year and if I'm honest, I don't 100% love the fit of them. I like my jeans to be tight on the knees and ankles so the next pair of white skinny jeans I buy will probably be a white pair of Jamie jeans from Topshop. When I wear white denim, I like to pair it with bright pops of colour like my bag and my t-shirt. I also love the look of the classic blue denim of my bomber jacket with the white denim jeans. 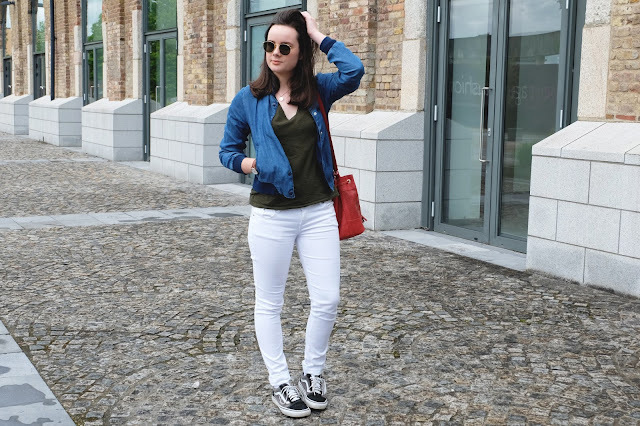 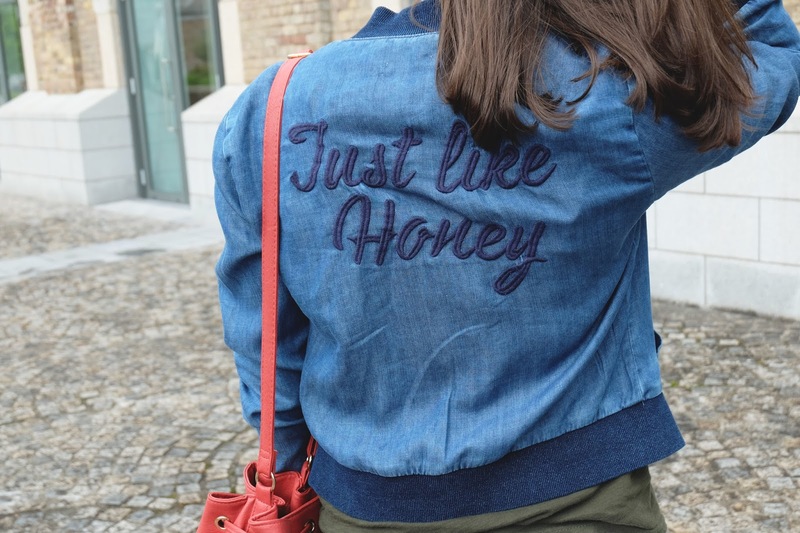 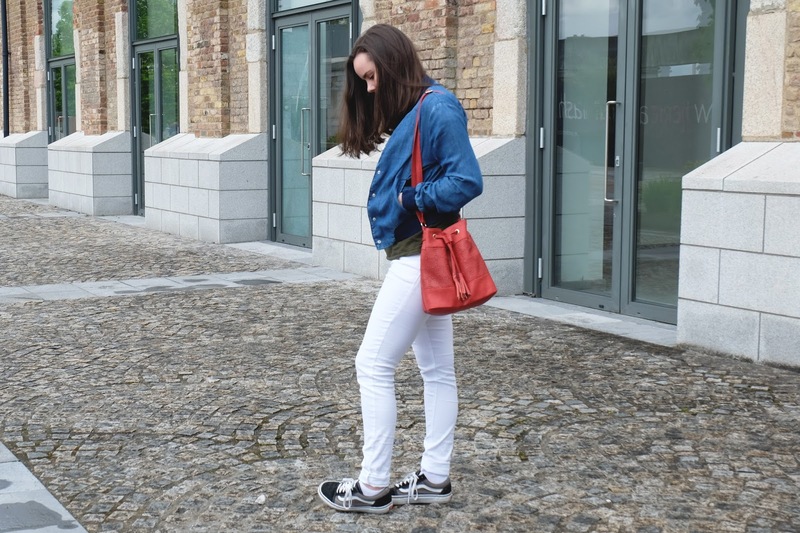 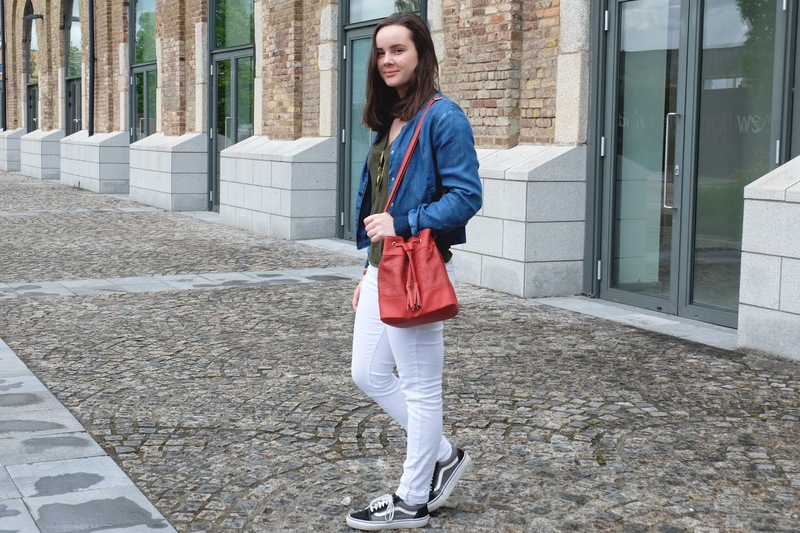 My favourite part of this outfit is definitely this denim bomber jacket from Stradivarius. I am really loving the embroidery trend that has made an appearance lately, especially on the back of jackets like this one. 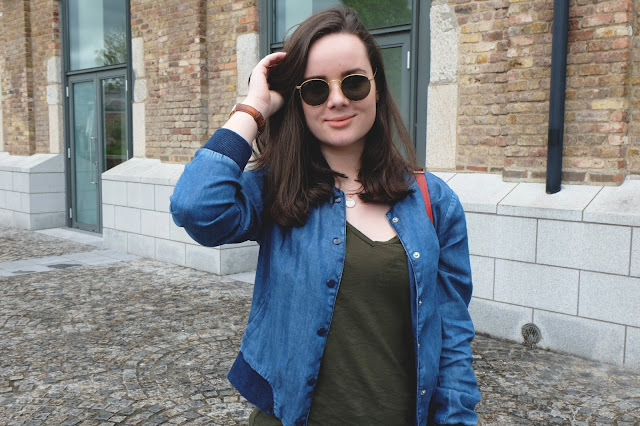 This bomber jacket is also a really nice light material so it's not too heavy to wear during the summer.